The answer? 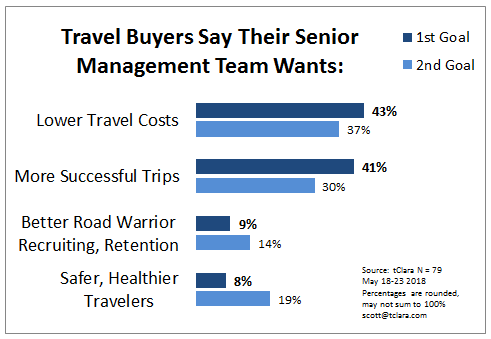 Lower travel costs is the most important goal, while more successful trips came in a very close second, according to the survey tClara just ran. If you group the three non-cost goals into something like “Travel Impact Goals”, you see that this group gets a total of 58% of the top goal choices. So while lower costs may have squeaked out a first-place finish, I’d say that cost takes a back seat to business impact. Folks, here’s a super-quick 3-question survey about travel program priorities. If you are a travel buyer, please weigh in…it will take less than 2 minutes, and you’ll shed some important light on this issue. 3 questions, 2 minutes – it’s easy! This is an anonymous survey – you couldn’t leave your name even if you wanted to. It’s also unscientific, but I think the results will still be very interesting. If you’re not a buyer, you probably know a bunch of these fine folks, so feel free to forward this to them. (That’s also meant to be a nice way of asking you non-travel buyers to not take the survey). 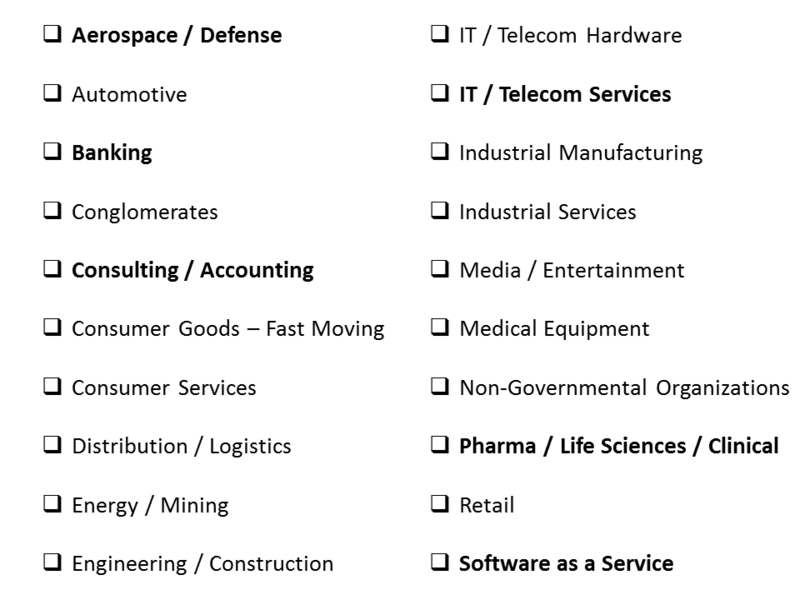 I’ll share the results here on this blog, and on stage at the Business Travel Intelligence Summit on May 22nd in New York. If you haven’t heard of this one-day deep dive into the real value of travel data, have a look at the agenda here. It’s the first event I’ve seen designed specifically to discuss travel data, and it already has over 100 buyers registered to attend. Wow. This article that challenges the importance of savings is one of the most popular ones I’ve ever written. Still, the question is can you really afford to focus on the benefits of travel, rather than on the cost? The good folks at Prime Services and I will show how build a business case for better travel using my Travel Policy Impact model. We’ll walk through the data you need and the assumptions you have to make, and show the ROI as we go. You’ll see how easy it is to estimate the costs, and how to make reasonable assumptions about the benefits. Travel Policy Impact 101, here we come! The webinar starts at 1:30 pm EDT on Thursday, March 15th. You can register for your free seat here. I hope you’ll join us. Prime Services is a division of Prime Numbers Technology. Kate Saab and Robin Carter will co-host this session with me. You can download the Travel Policy Impact model and the User’s Guide from within this post. The whole idea is to balance the costs and the benefits of better business travel, right? So that means we need a way to quantify those things, in a way that makes sense to senior management. The good news is that there is now enough research out there to help us frame the question with some clear logic and pretty good assumptions. Is it time to think about your category goals for 2018? Yep. Are you hoping to somehow increase the size of your savings next year? Of course. Are you optimistic about meeting that goal? Probably not. Would you like to show senior management that you’re adding significant strategic value to the travel category? That your approach is fundamentally aligned with the needs of the business? Therein lies my challenge. 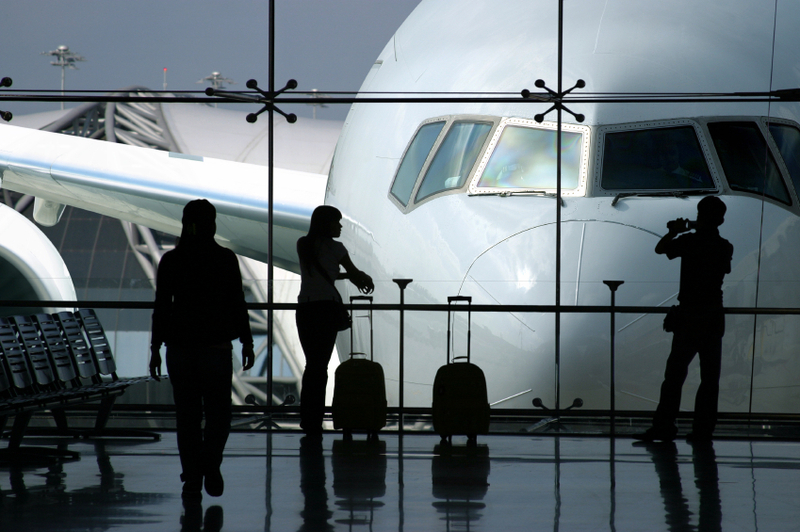 For the last 20 years, travel procurement has measured its success by the size of its savings. Travel procurement takes the path of least resistance, happy to measure what’s easiest – ticket prices, room rates, TMC transaction fees, and the all-important discount. This traditional cost-focused goal is no longer sufficient. It’s not strategic, and it isn’t sustainable. Travel procurement needs a bigger, bolder goal. Two years ago I wrote that travel managers face two paths. One path is to keep doing what you do today: jumping through endless supplier meetings, putting out fires around traveler service issues, continually hacking away towards inbox zero… In short, doing all those things that add short-term tactical value. The other path leads to adding higher, more strategic value by focusing on travel’s broader business impact. I’ll preach about taking this path at GBTA in Boston on July 17th. One area along this path that I think is rife with opportunity is non-employee travel. Think recruiting trips for on-site interviews, new-hire training, or guest visits such as speakers, partners, or customers. Imagine giving management a choice between these two travel programs: “Nickels and Dimes” and “Goldmine”. 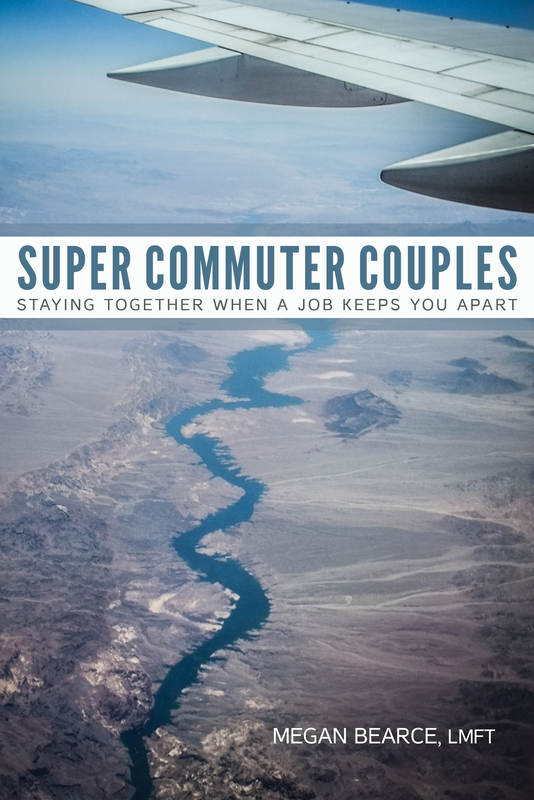 In the Nickels and Dimes program, they get travelers who are more burned out, more likely to quit, have less productivity, report higher rates of sickness, are less willing to travel, and for the kicker, produce 22% less effective trips. In the Goldmine program, they get the opposite – happier, healthier, more productive travelers who are more willing to travel and – pay attention – produce more effective trips. Of course the Goldmine program is going to be more expensive. Just like an iPhone is more expensive than a cheap flip phone…you get what you pay for. Road warriors, by definition, do a lot of traveling. All their airline tickets add up to some pretty big expenses, as do the hours they spend inside airplanes. Why not take those two pieces of data and show what it costs business folks to fly per hour? Let’s face it, talking about price per mile might be great for aviation pros, but it’s not great for briefing management about travel expenses. 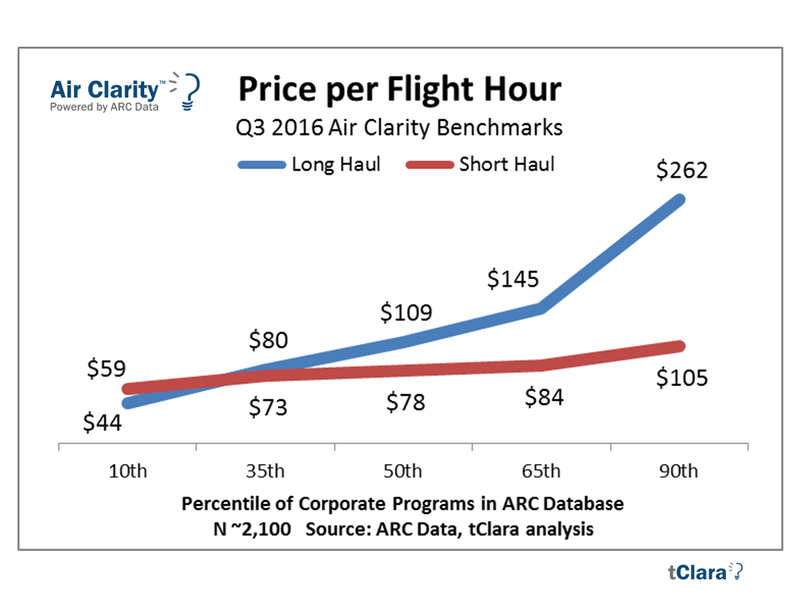 Air Clarity, my firm’s air spend benchmarking tool, crunched a few million airline tickets from ARC’s corporate ticket database to get the answers. Since ARC stores all travel agency tickets sold in the U.S. on most every airline (excluding Southwest and a few other low cost airlines), this data is as good as it gets. Doesn’t that make for a much easier conversation about the cost of air travel? 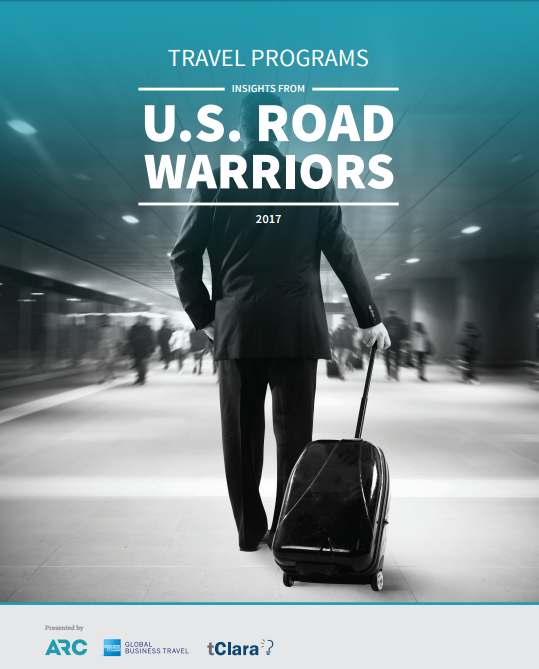 For context, this study by American Express GBT, ARC and my firm found that the average road warrior earned about $80 an hour, assuming 2,000 work hours per year. Travel managers, try talking to your business stakeholders about the price per hour of air travel, and see if that doesn’t make for more engaged discussions. If you’re a travel manager interested in one of our industry peer groups, follow the group by signing up here…no cost, no obligation. More information about Air Clarity’s benchmark reports for corporate travel managers, TMCs and airlines is here. Buyers have a new distribution dilemma. Think of this as the opposite of the €16 surcharge that Lufthansa Group is applying to tickets purchased via the traditional GDS/TMC channel. One happens if you buy in the GDS, the other happens if your LCC airline doesn’t play there.